I made some crude electrode holders for our carbon-arc torch. The idea behind the electrodes is to enable twin carbon arc welding. The holders are just nails I put in a piece of scrap wood, and then heated with a plumbers torch so that I could bend them into little "pig tails." 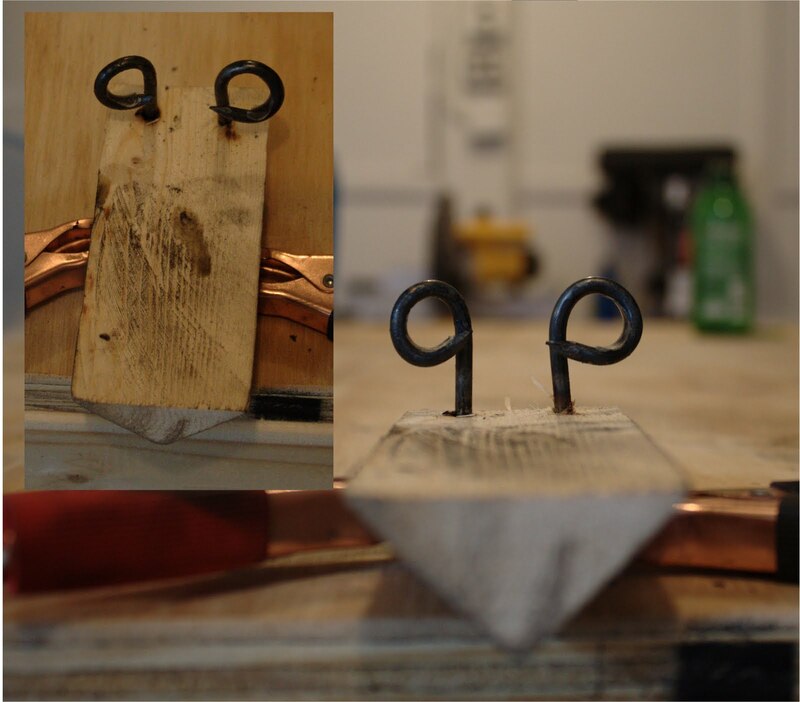 The copper tube then fits through the hole and is held in place by the electrode clips. 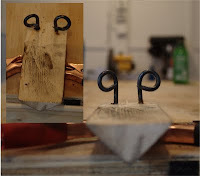 The nails fit loosely enough in the wooden "handle" that you can use your thumb (safely inside a welding glove) to adjust the distance between the electrodes while you are using the torch. 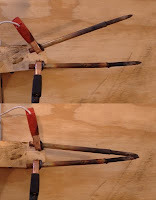 This is required when you light the torch (you have to touch the electrodes to "strike" it), and then when adjusting the size of the arc (bigger is hotter). This arc gets very hot (several thousand degrees), and as I mentioned in the first post you MUST wear welding gloves and arc-welding mask when using this device. Going blind or becoming "part of the circuit" are not fun hacks! I left a glass bottle I melted with the torch on one of the workbenches. Maybe we could make some beer bottle vacuum tubes? 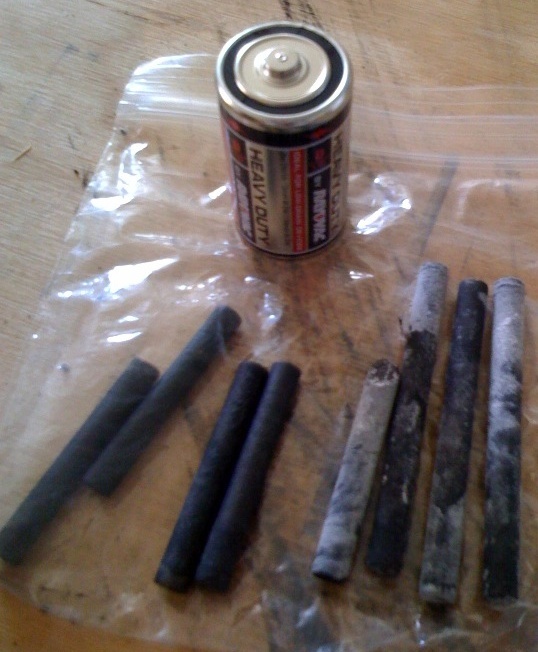 A neat thing we discovered at the last meeting was that you get four rods in a 6V lantern battery that are the same diameter as D-Cell batteries, but about 1/3 longer. This makes them even better for use with our torch than the D-Cell ones and slightly cheaper (a bit less than $1/rod).